Shihan in calligraphy has some parallels, but the structure is complex and different. Adding to the confusion is the following. 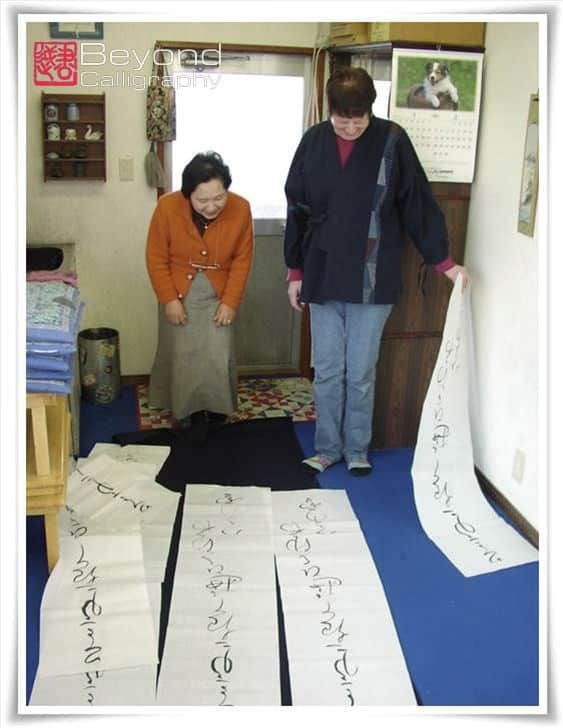 There is no national completely standardized path to achieve Shihan in calligraphy in Japan. 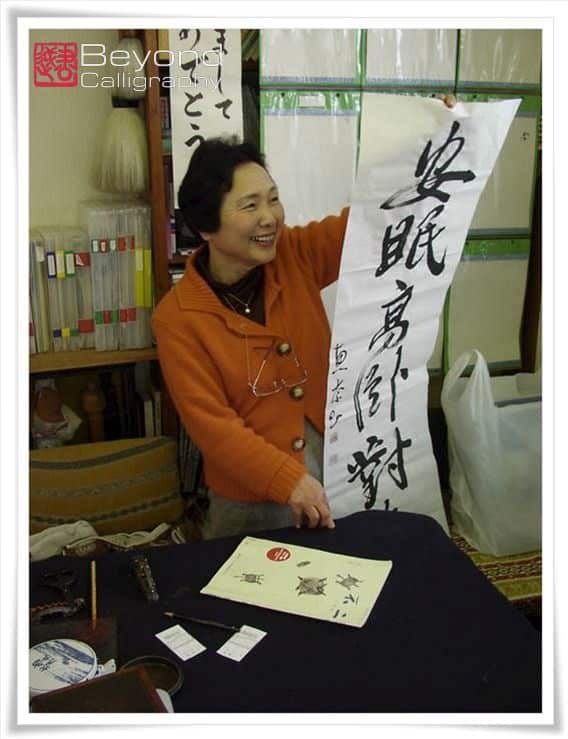 There are so many schools of calligraphy under whose umbrella are the private teachers who receive and distribute a monthly magazine from their affiliated school. Each main school has its own systems and assignments for students working towards the designation Shihan and above for purposes of exhibition and recognition and official status to teach. Each student enrolled in the school through their Master (Shihan) teacher can be learning many different forms of calligraphy and have different rankings in each one. There are books and monthly magazines with assignments in these categories. Teachers give students examples to practice, to learn, to improve and upgrade to a higher ranking if possible. I would not want to generalize too much about rankings and particulars about the paths to Shihan since I have only directly experienced my own school’s methods through my Sensei who has taught calligraphy for almost 40 years after receiving Shihan. Thus, what I am writing here applies, as best I understand it, to the main school to which I belong. It can be found online (Japanese only). In this school, the overall organization of ranking is that one begins with “kyu” in ten stages, with 10 being the first and simplest and 1 being the highest. You cannot jump any stages from your initial ranking such as going from 10 to 8 in kyu though your initial application work might have you assigned to a value which shows mastery above complete beginner. After reaching the highest rank in the kyu stage (1), the next stage is “dan”, beginning with 1. There are also half stages, or pre- dan which one must also achieve. Sometimes there are designations within for encouragement so that while you may not have ranked higher in a category, your work overall is in a higher level for which the school assigns either “ten” meaning “heaven”, or “chi” meaning “earth”. As you can imagine, therefore, the path to Shihan is long and complicated. In order not to confuse further the overall organization, I have only used Japanese characters, Kanji and Kana, twice in this article though of course each stage has a name and is written in characters. I would not make a chart as again, each school is different. But there are certainly many similarities. 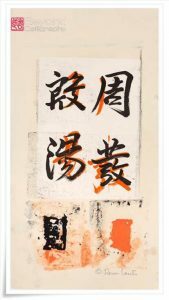 The main general categories which students in my school practice and study are Kanji, kana, and shinwayou (Japanese style poetry) on the standardized small size paper called “hanshi”. The same three categories may also be practiced and learned on scroll size paper. In some schools there is also the category of the making of seals alongside other studies such as sutra writing, brush pen etc. Once one achieves pre 5th dan, there is a complex test which one must pass in order to reach the designation “Shihan”. In some schools, one can receive Shihan but with some limitations, meaning that one is certified to teach only up to certain levels, beginning with elementary school, then middle, then high school level students. Other requirements must be met to teach adults and university. 5th dan is not necessarily the highest level one can achieve in categories in some schools but rather a critical level above which one continues in Mastery. 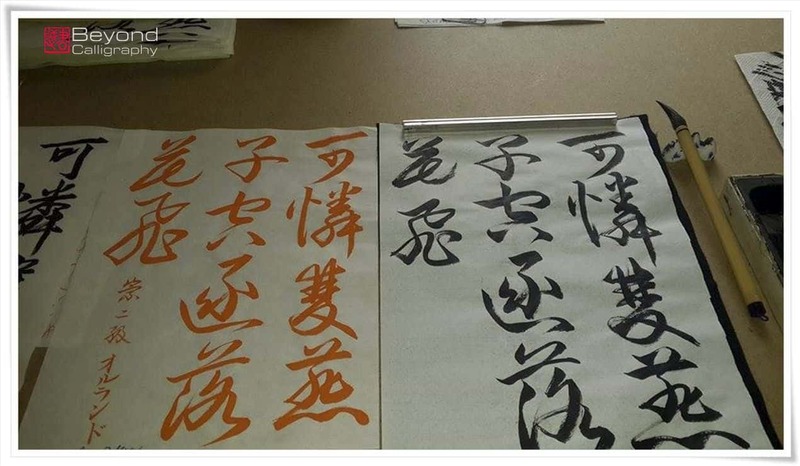 By this time, a calligrapher has created and continues to develop his or her own distinctive style of calligraphy. It is not the teacher who decides about the rankings but rather sends the students best work to the main school where blind judging is applied. The next month’s magazine lists the ranking results. If you, the reader, were to look at pages of these results, you would see a selection of some of the best work chosen by the judges alongside the work of those judging. The magazine includes much explanation about the origins of the assignments, diagrams about how to write, and much more. 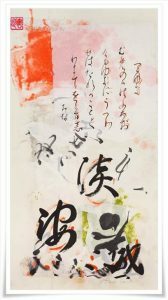 For someone such as me, a foreign student who did not begin to study calligraphy until almost the age of 60 and with no background in Japanese studies, only desire, there are many challenges to learning. However, it is very easy to see and understand why achieving a higher rank in any category is so very difficult. 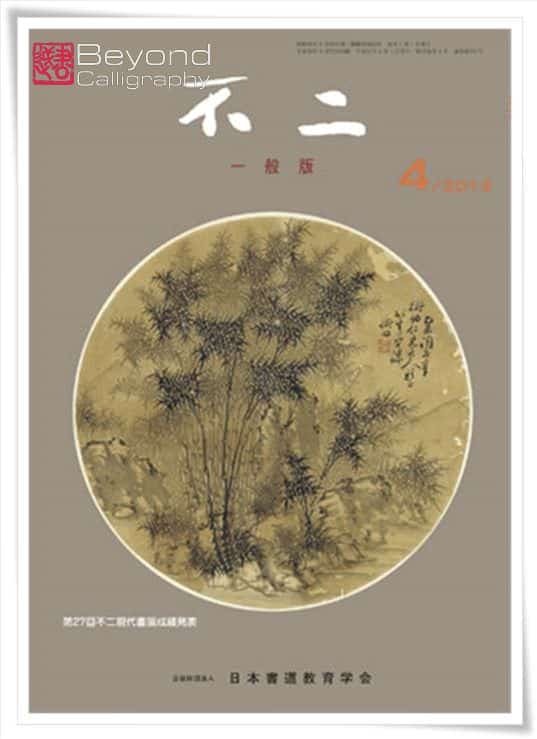 In each edition of the monthly magazine, one can see the names (under the name of their Master teacher’s school) and results of work submitted the previous month. There are lines and lines of what I refer to as “the white path”, “shiroi” 白い 【しろい】 “michi” 道 【みち】 beneath these names. Kobayashi Sensei, my teacher, is amused by my joke though it is true. Very very few people rise in the rankings, or alternatively, it takes many years to raise one’s proficiency level. If one’s rank has been raised, there is a circle under one’s name. Otherwise, the space is white or blank. Why is Shihan and the ranking to reach that level important? 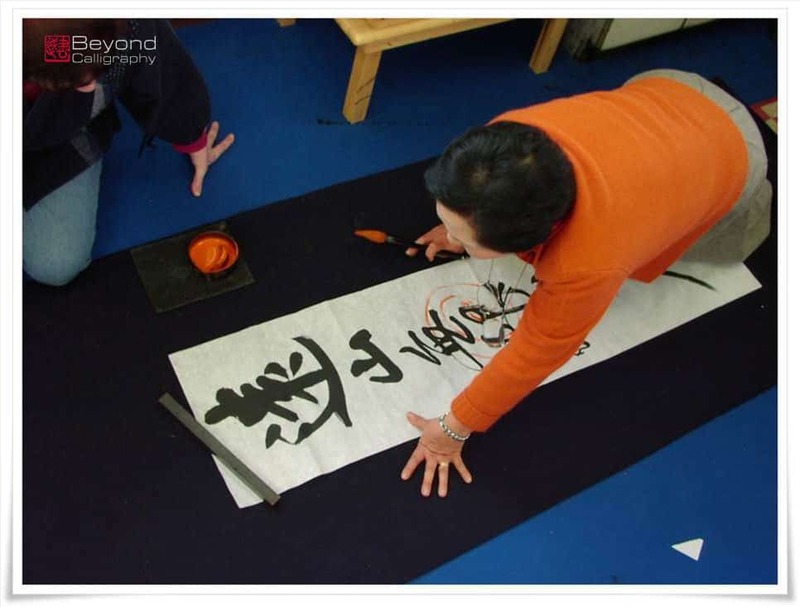 If you do not study with a certified teacher, you are highly unlikely to learn properly the basic foundations upon which calligraphy is based and the proper methods for handling tools and learning experientially alongside the teacher’s guidance. 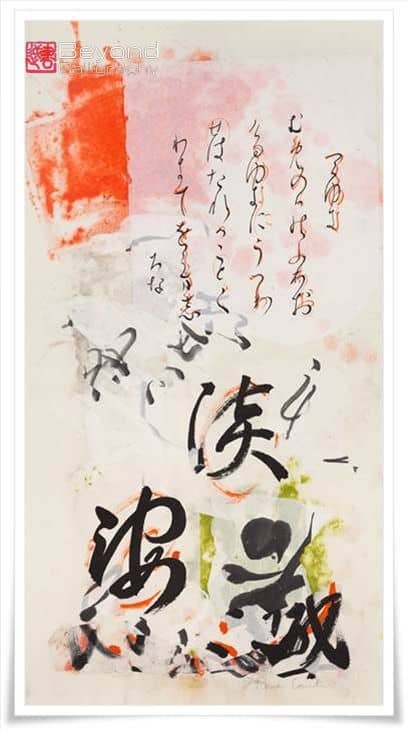 While there are some talented calligraphers who are also fine teachers who did not go through the Japanese system for certification, they are a rarity. And as a student seeking a teacher, you likely will not be able to judge well whether or not this is the case. Additionally, if one is looking for a teacher, just as one would look for the qualifications of a doctor, there are many questions to ask beyond whether or not the person has the designation “Shihan.” What is the specialty of the teacher? What is the teacher’s philosophy? What is the preferred methodology of teaching? Do you like or are you inspired by a particular teacher’s personal style. And most importantly, do you think you and the teacher will be a good partnership for learning. 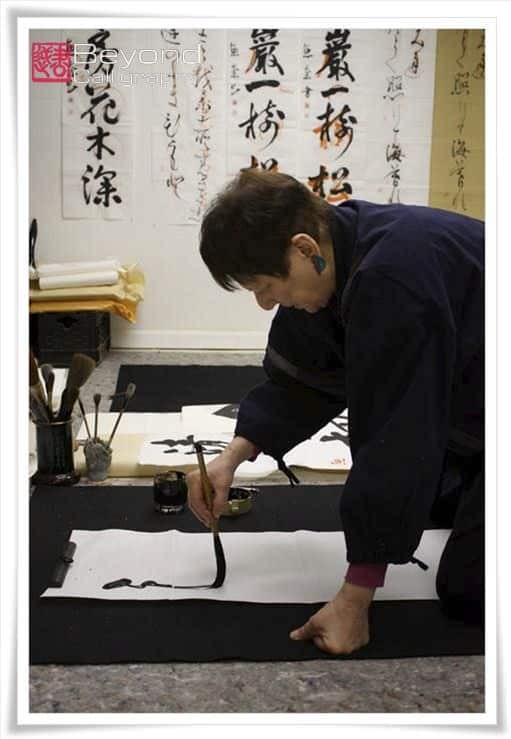 If you are studying a martial art, or other Japanese arts, calligraphy may be a concomitant study. 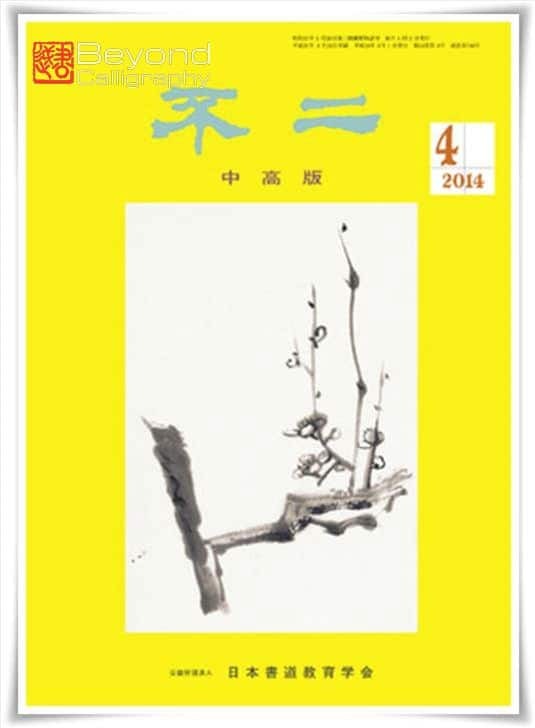 But it is not the main study though there are many talented calligraphers in this category. While you can always augment your learning through other people, peers, exhibition attending, reading, there is nothing which can replace a qualified teacher who has earned the designation “Shihan”. You will likely miss the foundations of calligraphy, the “bones” upon which it is built. Perhaps most important to note is that whether or not one has a teacher one sees physically and has work critiqued and corrected in red ink or one’s work is corrected and returned by mail, one’s learning by having work corrected is primary. This detail is critical to learning. Spending much time looking and observing the teacher’s marks and changes is irreplaceable. Whether or not you are studying with someone who has the title “Shihan” or not, it is up to you to learn through experience. You can read instructions, books, watch videos, but experiential learning through practice, practice, practice is the only “way” or path.